James has registered 1 copyright with Copyright House so far. I have always been geared primarily towards writing Science Fiction, with a few dabblings into Science Fantasy Fiction. 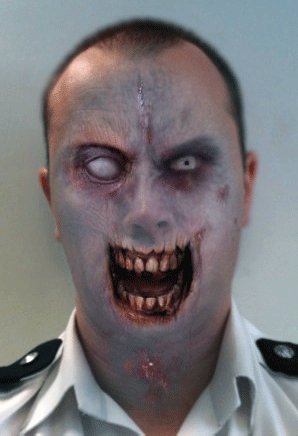 The first book I'm going to attempt to publish however is a Horror Fiction novel (a zombie story to be precise). I have been writing creatively as a hobby since my late teens. 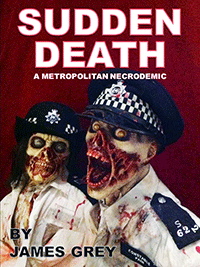 Sudden Death - A Metropolitan Necrodemic, however, is my first attempt at publishing my works. Of all the authors who have have influenced me over the years, I would have to say the top three are Anne McCaffrey, Arthur C. Clarke and Greg Bear. Having literally just finished my zombie novel, I plan to have a little break before I immerse myself in a science fiction novel that I've been planning for some time. The basic premise of the story is an odd (and hopefully quite unique) concept that attempts to bring together the philosophical ideas of Plato and quantum mechanics - not as strange a pairing as you might think.